A stunning number of adults seem to be coasting by without knowledge of what many would consider extremely basic life skills.From financial literacy to learning how to communicate, the U.S. education system could stand to incorporate courses on the basic skills we need to navigate daily life.This list describes 5 life skills, why we need them in our schools, and the consequences of their absence. 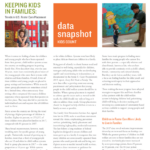 A new data snapshot from the Annie E. Casey Foundation finds more children are being placed with foster families nationwide, as opposed to group homes, but that placement of teens with families is slower to catch up to the trend. Research confirms that children in the foster care system have better outcomes when they live with families. 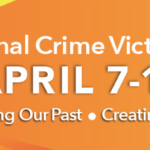 In the middle of crime and crisis is a hard time to figure out the criminal justice system and how to navigate it; let alone the emotional impact or figuring out any restructuring of your life that may need to take place depending on the type of crime your are experiencing. Since we don’t know when our lives will be impacted by the unexpected I encourage you all to take a moment to familiarize yourself with the rights of victims as well as knowing who you can call for assistance to help guide you in the process. 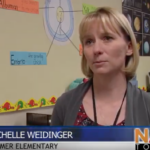 Applications are now open for the 2019 STEM Grants for out-of-school time programs. 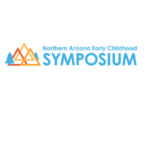 In partnership with Cox Communications, AzCASE will award a total of $10,000 in grants ranging from $500 to $1,500 to programs that incorporate or expand the use of STEM-based learning in their programs. Last few sessions before your summer break. Sign up to join us next week! 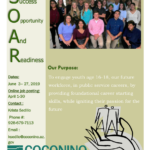 Coconino County is excited to announce our SOAR (Success, Opportunity, and Readiness) Summer Youth Employment program. 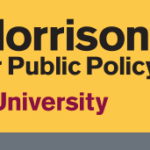 Are you interested in learning about and engaging in non-profit, local government, and public service careers? Are you in need of career building skills and exposure to the workforce?This is the opportunity for you! 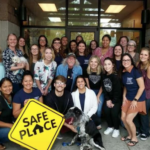 With at least 88 Arizona youths taking their own life over the last two years, including a recent wave in the East Valley, the issue of teen suicide has been in the news lately and has garnered the attention of the Legislature. Senate Bill 1468 , which has bipartisan support in both the House and Senate, would provide training in suicide prevention for school counselors, teachers, principals and other education personnel who work with students in grades 6-12.